BBC Three's brave web series is a compelling, thought-provoking and honest study of eating disorders. It’s all too easy to define people by their conditions. Those with alcoholism become alcoholics. Sufferers of anorexia become anorexics. Those with OCD say “I’m OCD”. It’s all too easy to forget that disorders aren’t the same as the people suffering from them. 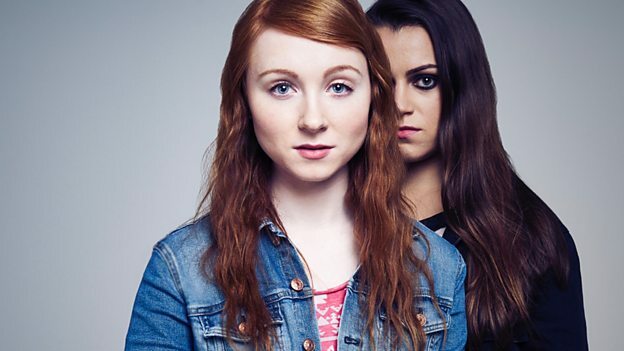 Overshadowed, BBC Three’s new series, does a brilliant job of demonstrating that literally, as we watch Imo’s (Michelle Fox) life gradually infiltrated by Anna (Eva O’Connor). Anna is Imo’s new best friend, someone who won’t let her out of her sight, interrupting moments with her friends and demanding she ignore her family to spend time with her. It soon becomes clear, though, that Anna is the physical embodiment of Imo’s anorexia – and, in no time at all, Imo begins to struggle to escape her. It’s a fantastic performance by Fox, who begins the series bright and bouncy, as she runs about the house with a video camera and announces her plan to start vlogging her teen life. But over the course of eight episodes, she transforms entirely, becoming quiet, withdrawn, self-critical and anxious. Part of the show’s strength is the way it focuses on that transformation of emotions and personality, rather than any physical changes – compared to, say, Netflix’s recent To the Bone, there’s no risk of the camera lingering on Imo’s skinny frame to the point of almost showcasing how to get thin or what those with anorexia should aspire to look like. The number of calories being consumed (or not) are barely even mentioned. The rest of the cast do well to ignore O’Connor at all times, highlighting the shock of the changes they see in Imo’s behaviour – from her eye-rolls and sighs to her angry shouting at her mother, her running away from her sister’s birthday and her awkward, selfish interactions with her potential first boyfriend. Hildegard Ryan directs the show with a highly effective vlog style, her handheld visuals adding to the authenticity of the performances – and the superb editing ensuring there are shocking cliffhangers at every step of the way. 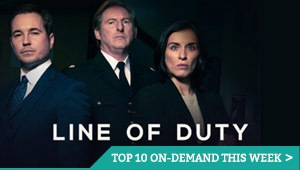 BBC Three is positioning the show as innovative and new, but it’s just the latest in a long line of impressive web series being made and released online in the YouTube age. The short-form format, though, gives real pace to the drama, accelerating the damaging effects that anorexia can have, not only upon Imo’s body, but upon her relationships with everyone around her. That focus on more than weight loss is, tragically, the real innovation here – and, by exploring how someone can try to step outside of the looming shadow of their condition, this is compelling, provocative and reassuring viewing that tackles an extremely important issue affecting a large number of young people today. All episodes of Overshadowed are available on BBC iPlayer until 26th September 2018.